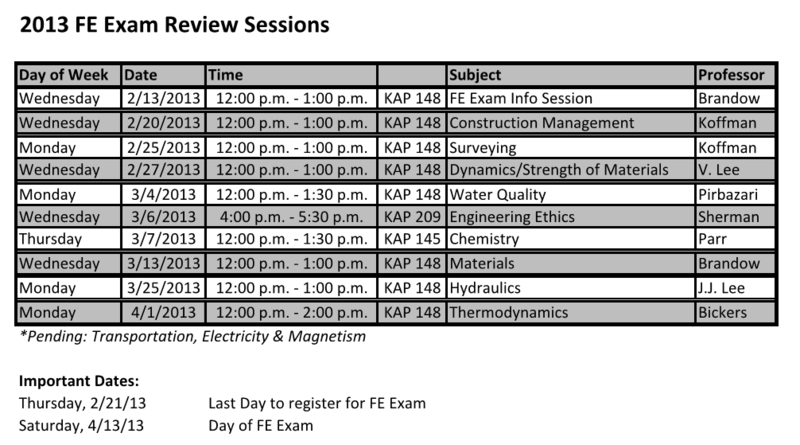 Every spring, USC Chi Epsilon organizes review sessions for the EIT (Engineer-in-Training) Exam. These reviews are led by USC faculty members who teach courses that relate to the subjects that are covered on the exam. 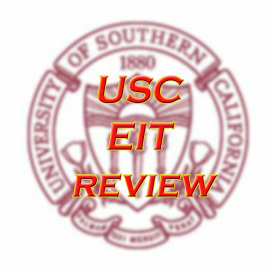 EIT Reviews are free for all USC students! The registration deadline for the fall's examination is September 5, 2013. The actual date of the examination is October 26, 2013. For more information about the Fundamentals of Engineering exam, click HERE.